One of the most revered football legends of all time, Diego Maradona has declared Lionel Messi the best player in the world. Diego Maradona has accused the media of trying to drive a wedge between himself and the Barcelona star, Goal.com reports. 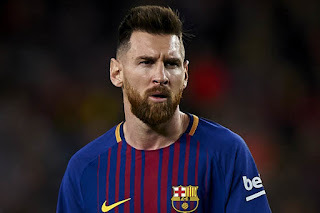 The Argentine has reiterated his belief that countryman Lionel Messi is the best player in the world. Maradona seemed to take aim at the Barcelona star last weekend, when he appeared to question the way that the 31-year-old is deified. Maradona, in particular, took aim at Messi’s mentality, claiming that he is not a leader. Furthermore he was cited as having accused the Barca ace of “going to the bathroom 20 times before a game”. The Dorados head coach, however, has said that his comments were taken out of context and accused the media of driving a wedge between himself and the player he once led as Argentina coach. “I know who Leo is, I know he’s the best player in the world,” he said on Sunday. “If I said a player goes to the toilet 20 times before a game, I never named Lionel Messi. Messi, however, will have to wait for several weeks to prove his qualities on the field, having sustained a fractured arm during Barcelona’s 4-2 victory over Sevilla on Saturday. It is expected that he will be sidelined for three weeks, and as a consequence he will certainly miss the forthcoming Clasico against Real Madrid. It will be the first time in over a decade that both he and Cristiano Ronaldo, now of Juventus, have both missed the showpiece event. Messi will also be forced to sit out Barca’s Champions League double header with Inter, the first match of which is on Wednesday, while he will also be sidelined for fixtures against Cultrual Leonesa in the Copa del Rey, Rayo Vallecano and potentially Real Betis on November 11. Barca are top of La Liga by a single point, leading Espanyol and Alaves as the Primera Division has an unfamiliar make up to the podium after nine matches.